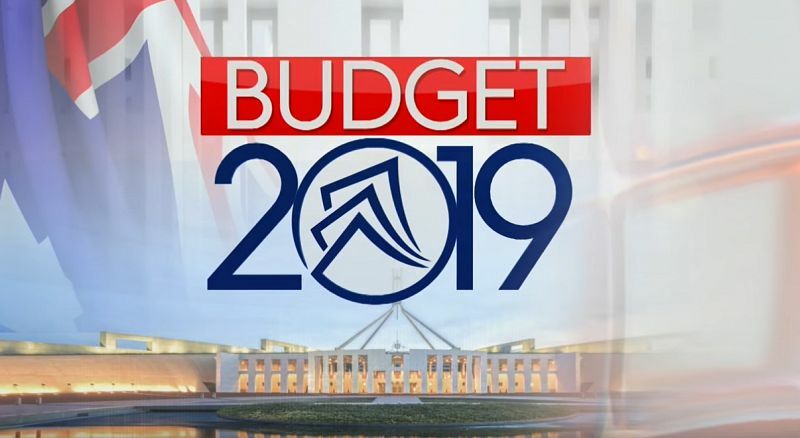 The latest Budget reflects the short-term policies of the LNP Government, while long-term policies such as the NBN are ignored, writes Paul Budde. BECAUSE THERE WILL BE an election in just over a month, the Budget is aimed to inject sugar hits into the voters. There is no doubt that Labor equally will match these sugar hits. It is a real pity that the extra money is not used to come up with a vision for the future of our country with good long-term policies attached to it. There is no doubt that the forecasted Budget surplus is a good thing and under normal circumstances that should guarantee an election win, but these are not normal times. The Budget reflects the policies of this Government over the last six years. These have delivered an enormous lot of chaos and the policies that were implemented were mostly based on short-termism. There has been, for the last six years, a total lack of a long-term national vision, be it on energy, communication, climate change, transport, healthcare, education and so on. What the country desperately needs is a range of long-term policies in all these areas. Instead, what we are getting is a range of short-term hand-outs, tax cuts and, under the $100bn infrastructure promise, we will most likely see a hodgepodge of upgrades of local traffic issues, crossings, bridges, playgrounds and potholes in all of the marginal electorates. Again, there is no long-term policy underpinning this infrastructure plan. Again, high-speed rail has been mentioned, a promise that goes back to the 1980s — it becomes a laughable issue. Short-termism will never deliver the long-term outcomes the country needs. This requires leadership, respect from the electorate and trust in those we provide with political power to develop such visions for the country. Budgets need to be linked to such programmes and can be adjusted according to the circumstances as they eventuate over the years without becoming a target in partisan party politics. The Budget is all about cranes, hard hats and heavy machinery, which are also needed, but we can do things smarter and that did not get a mention. Digital technologies will play a key role in all of this and they are great enablers — “smarts” should be added to well-designed policies in all aspects of our society and the economy. It was a pity that the Treasurer didn’t mention any initiatives around the use of these technologies. Communication, digital and online was only used once in relation to skills and safety, not as critical enabling tools in the transformation processes that our country desperately needs in a rapidly-changing global environment. Over the last six years, we have seen more failures than successes. The NBN would be faster and cheaper but it ended up later, more expensive and second-rate. There was the much-celebrated innovation summit, but none of the innovation plans discussed here were followed up let alone implemented and let’s not even talk about smart energy, a total disaster area for this Government. The current Budget also has no long-term plans on which businesses can base long-term investment plans. This requires long-term policy certainty in many of the areas where there is currently more chaos than clear vision. An indication of what will lay ahead in the digital economy, if the current Government gets re-elected, are some of the more recent disastrous short-term policies in the ICT industry. The so-called Telecommunications and Other Legislation Amendment (Assistance and Access) in relation to cybersecurity and the newly-proposed social media (Facebook) laws are rushed through legislation. The long-term implications of these Bills are not thought through and will have a disastrous effect on the industry without delivering the outcomes the Government aims to achieve. The currently proposed Facebook regulation is nothing less than crazy, totally unrealistic and plain stupid, quickly cobbled together to get a political election advantage. In the last two budgets, more than $4 BILLION has been cut from the R&D tax incentive - the government's primary innovation funding mechanism. We can add the NBN to this as well — no vision, short-term policies and, as a result, a financial mess. This should have been a major foundation for a digital economy and for major initiatives in areas such as healthcare and education. The NBN as a major economic and social tool doesn’t even get a mention, a clear example of what happens with short-term policies which always fail to deliver what politicians promise. Ending on a more positive note, the $9 billion promised for science and R&D is certainly a reversal from continuous Budget cuts over the last six years. But also, here these short-term decisions are disastrous for long-term science and R&D developments when projects get cut and highly qualified expert staff sacked, only to start from scratch again when new money becomes available. It is a real pity that now, as more money is becoming available, there is no vision of the future available underpinned by solid long-term policies that can be used to wisely invest the Budget surplus for the benefit of the country.